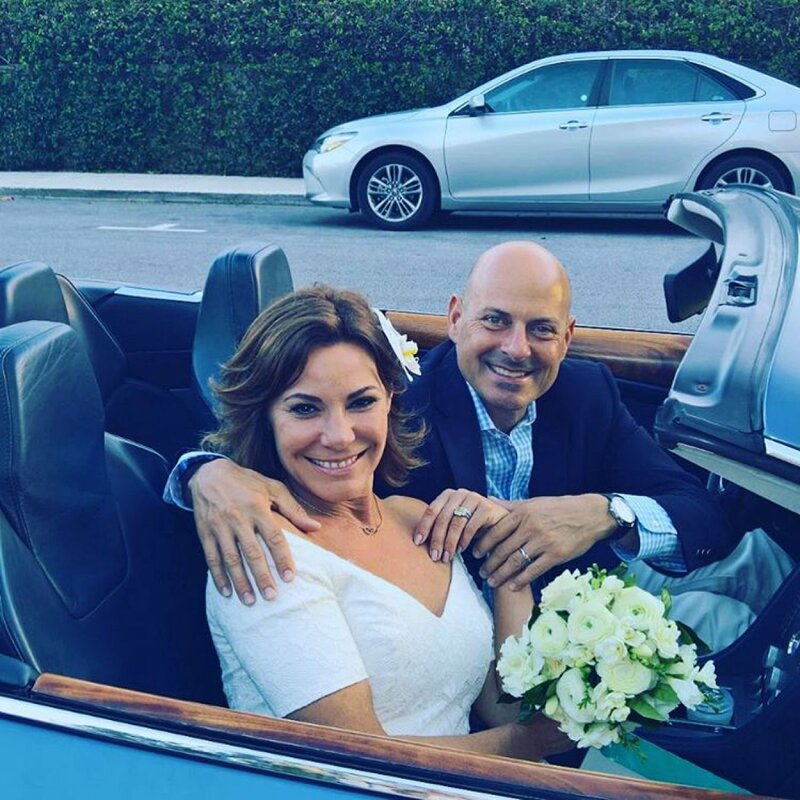 'The Real Housewives of New York City' star Luann de Lesseps marries Tom D'Agostino Jr.
LuAnn de Lesseps tied the knot with Tom D'Agostino, Jr., over the holiday weekend. The 51-year-old "The Real Housewives of New York City" star and D'Agostino married New Year's Eve at The Brazilian Court Hotel in Palm Beach, Fla., with 250 guests in attendance, according to "Entertainment Tonight." "Luann and Tom looked so happy. They really got to have fun with all their guests. It was a New Year's Eve to remember! You can really tell how much they love each other. Their friends couldn't be happier for them," a source told the website. De Lesseps had revealed on "The Steve Harvey Show" in December that her wedding would be "a three-day affair." She and D'Agostino kicked off the celebrations with a rehearsal dinner Friday and hosted a post-wedding brunch at The Colony Hotel in Palm Beach on Sunday. "The Real Housewives" star shared several posts from the weekend on Instagram, including a video from her rehearsal dinner. She followed up Monday with a photo of herself and D'Agostino leaving brunch for their honeymoon. "We're off! Happy 2017! #weddingweekendfun," she captioned the snapshot. De Lesseps was previously married to Alexandre de Lesseps and shares two children, Noel and Victoria, with her ex-husband. She confirmed in August that she and D'Agostino would still wed despite him kissing another woman. "I'm not going to let a stupid kiss ruin the rest of my life," the star told People. "He screwed up. What he did was wrong. But this wasn't premeditated. It wasn't an affair. It was a mistake."